The message is loud and clear: Search is social. So when it comes to creating content that generates traffic and ranks for your target search terms, it’s not just a matter of optimizing your blog posts for the right keywords. Your content must be intriguing enough for your audience to click those little Shareaholic icons and spread your content to their social networks. It all starts by hooking your readers’ interest with a great headline. 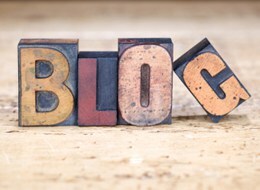 Useful: Why is the blog post valuable? Ultra-specific: What can I expect to learn from the blog post? Urgent: Why should I read this NOW? Consider all four of these qualities in every headline that you write. Here 10 ways to achieve a headline that is truly shareable. How to ________“How to” articles show that there is something actionable to take away from the post. It shows that the post is useful. Lists: 5 ways, 5 tips, 5 trends, etc.Lists indicate that the content is easy to digest because it’s broken up for the reader. Similar to a how-to article, it also has actionable takeaways. Warning: If you’re going to do a list of 10 tips or 10 reasons, make sure they are 10 darn good tips or 10 darn good reasons. No great headline is an excuse for bad content! Negative headlines: 5 Common Mistakes in _____, 5 Things ____ You Should Avoid and WhySo, you don’t want to be a Debbie Downer. But by learning what they shouldn’t do, your readers will gain fresh insights and very tangible lessons from your post. Adjectives: 30 Amazing _____, How to: Create a Fresh _____, 5 New _______If you’re going to do a “list” or “how-to” post, describing the post in the headline with an enticing adjective will help drive attention to your content. Urgency: 5 ____ You Haven’t Tried Yet, 7 New _____ Worth Exploring, 6 New _____ To Check OutThese phrases entice a sense of urgency. Out of all the links someone may see in his or Twitter stream, this headline will stand out because there is a clear call to action. Exclusivity: The Insider’s Guide to _____, The Secrets of _____, The Truth About ______These phrases let your readers know that they will get information not everyone else has by clicking through to your post. Plus, it’s share-able because people want to be perceived as in-the-know, so they have an extra incentive to want to share this content. Explanatory: Why Your _____ is _____, How a _____ Increased ______ by ______These headlines are especially great for business blogs using case studies or research to educate their audiences. “How” and “why” are explanatory words, and they show your audience that something will be taught in the post. It’s also good to include a number or some type of outcome in the headline so people know what they’ll learn about as a result of reading your explanation. The Name Dropper: 5 Marketing Lessons From ______, The _____ World According to ______Piggy-back on the popularity of a current event or pop-culture icon for a fun and intriguing headline. Some winning examples?5 Inbound Marketing Do’s and Don’ts from Kanye West– I for one wish Kanye West was one of my marketing professors.Apps of the American Revolution – A clever July 4th round-up. Guess which app Betsy Ross would use. The Quickie: 5 Fast Fixes for _____, 3 Easy Steps to Make a ______People are busy! They want posts that are information-packed with actionable takeaways, but they don’t want to have to read a novel to get there. When you use adjectives to let your audience know that your post is informative and easy to digest, they’ll be ready to read and share it with others. [Bonus!] So Easy a Caveman Could Do It: The Beginner’s Guide to ______, _____ 101, ______ for Dummies, The Idiot-Proof Guide to ______People may want to learn about your subject matter, but they might feel intimidated by all of the existing information out there in the wild world of the internet. Re-assure them a headline that simplifies your content. These headlines are not only shareable, but highly searchable too as people often Google something in order to learn how it’s done. What kinds of headlines have you tried on your blog? Let us know in the comments! Now that you know how to write a shareable headline, make it easy for your audience to share it!